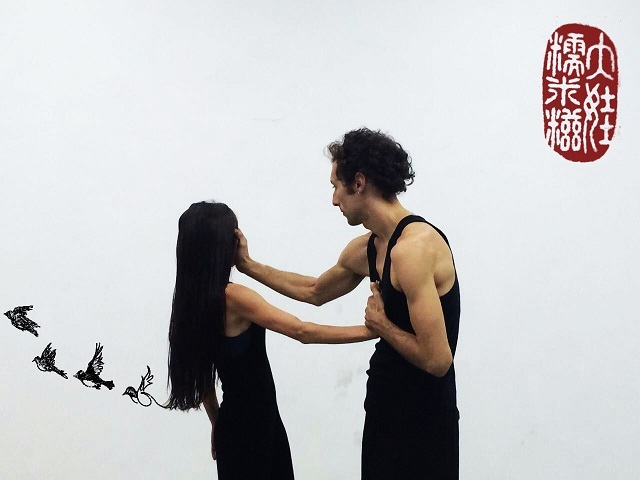 China Residencies caught up with contemporary performance and circus art director Joshua Hoare after he returned from his residency at Chinese European Art Centre. Joshua was awarded a residency from the “Two to Three 二到三” program in 2015. China Residencies: How was China? Joshua Hoare: Amazing! So lovely. It really changed my self-definition. I felt like it was really pivotal to go out there as a performing artist, not as a director, it really evolved my work. CR: That’s amazing, that’s one of the most profound reactions. JH: It was. 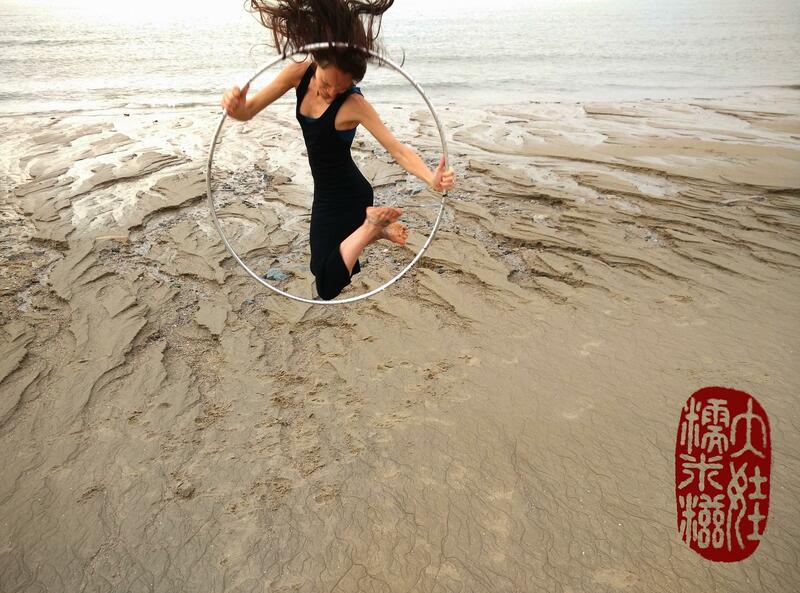 I set up a partnership for further collaboration with the Fujian Circus, and I also made a couple short films with a Chinese woman and two Australian acrobats, and also taught two workshops in creative movement. Teaching improvised movement was the biggest eye opener for me. Having done a masters in applied linguistics beforehand, I knew that I was naive going into the background of cross-cultural situations, but teaching in a new culture was really a great experience because things completely flopped. Part of it was around translation, but part of it was about improvisation. An Australian concept of improvised movement was much more liberal and free than the participants were strong within. They really sought more scaffolding, more structure. CR: Who participated in the workshops? JH: A colleage and collaborator named Lin, she has a network of people who do her workshops in Xiamen, people who do yoga and dance, and even people on the street who wanted to access creativity through physicality. CR: Let’s backtrack a little. There was a short timeline between hearing you had the residency and your departure? JH: I looked for collaborators, but that all rolled much quicker when I was on the ground. May at CEAC was fantastic, and going to gallery openings and meeting people who run WeChat groups helped me meet people who put me in touch with more people. I also sharpened up my Mandarin, which came in so handy. In the Fujian Provincial School, I was working with young people, which is what I do back in Australia, and it was really great to be able to speak in their language. CR: Your original idea was to investigate the Xiamen Circus. JH: I ended up looking into tea ceremonies, where one master leads and others sing songs and dance. Through that, I met a singer and musicians and created improvisation pieces with two acrobats. This tea ceremony is a place for Fujianers to come together and talk about what they do, in a way to showcasethemselves. It was really interesting, and with Lin went on to do things with dance in that tea ceremony format. Everything in the circus world in China is on such a massive scale, but I work a lot with the concept of a chamber circus which is picking up in European contemporary circus. In China, there’s minimum tens of performers but my conversations with Fujian was about creating smaller scale, more intimate performances. CR: How was working with the students at the Fujian Provincial School? JH: It was really good! I worked with twelve young people, they’re a parallel with the young people I work with in Australia, but that was another context where the cultural differences became so clear. 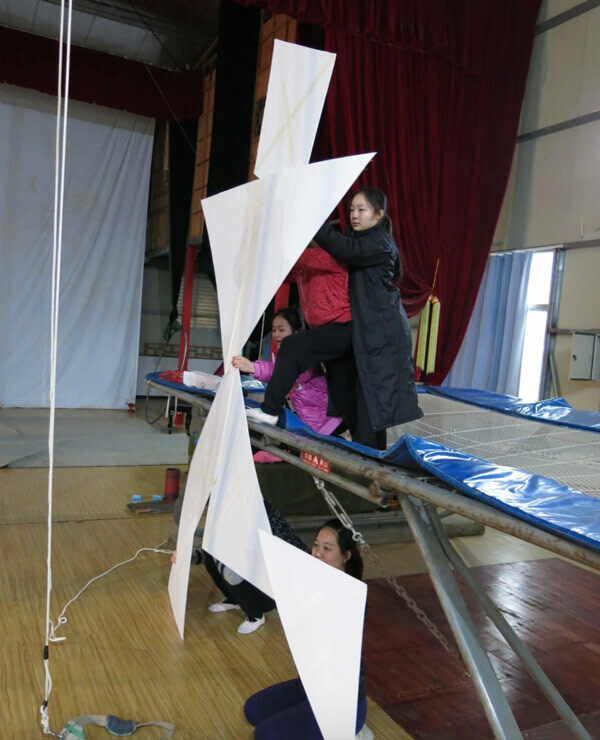 Devised physical work in a Chinese context is much more scripted and prescriptive, so it’s quite a new thing for them to work in improvisation or game-playing. They’re completely new muscles for them to flex, so I had to work out ways for these young people to succeed in the task. I was completely conscious of me coming in with my Australian and Western way of doing things is a exactly the same as if one of their coaches came into an Australian context without changing anything — it just wouldn’t work. CR: If they had only learned choreographed movement before, it’s possible that their understanding of improvisation could turn into them taking cues from your particular style of improvisation. It can be hard to convey the intentions, not just the actions. JH: Well in breaking down the barriers between right and wrong, emotional barriers were broken down as well. The young people were given tasks around introducing themselves through their specialities. I’m editing together this video, where they use their circus arts as a metaphor for their journey. It was really moving, telling their stories was a really emotional task for them. It was a privilege to be a part of. CR: How did these young people come to the circus? JH: All different ways, I’m quite sure what is talked about in that context is not ripe for total honestly either. Sometimes they see performances and they, or their parents or uncles or aunties, want them to go. And there’s always economic things involved as well, as far as I understand, they become wards of the sate. The organisations become quite vertical, they have a circus school and a performance element that the kids then graduate into. Those acts are then sold around the country. Fujian is quite aware that they need to innovate, which is a reason behind the success of this initial stage of the relationship. They know that they’re not as well funded or as big as some of the other schools in China. They’re very savvy in investing in their differences, and they also know that Chinese circus is highly technical but not always as good at being creative. There’s also a possibility that this relation that started during this residency might go on to work on a project in the Middle East. JH: I really learned a lot from CEAC, in particular I gleaned a lot from the Icelandic artist Siggi Gudmundsson and from the Irish and Dutch artists there. That international collegiate atmosphere was so encouraging and wonderful to be a part of. The world becomes much smaller. CR: It’s getting much harder for a lot of people to cross borders, so it’s really important for us to help artists gain and maintain mobility. JH: That’s true, and my own privilege was really apparent to me during my stay, and it’s something I want to research more on a higher level, this idea of privilege and cultural imprinting in my own acrobatic practice, in particular this idea of the politics of the body in contemporary body. As a white male coming from a culture that does circus as entertainment, because we can afford to do this training, and stepping into a culture where circus is a means to survive, that really influenced me in the work moving forward. CR: Can you actually talk a bit about how you came to the circus in the first place? JH: I started out in theatre, because contemporary circus is quite different, and sometimes is narrative-based. There’s a thicker palette of tools to use, and I was training at the same time as I was doing a degree in Sydney in Mandarin, Japanese and French, and then at 21. I auditioned and was accepted into the National School of Circus Arts in Melbourne to earn a bachelors of circus arts. Afterwards, I travelled as independent and collaborative artists, also working in corporate performances as well. I travelled a lot and then in 2011, I knew that I wanted to sharpen my teeth in a more administrative level, so I applied and was successful in becoming the the director of the South Australian Circus Centre, in which the core business is a circus school called CirKidz. That started another journey in administration and learning to fund work and operating at a different level, but 二到三 reminded me that I want to stay light on the ground, it reaffirmed that I like learning that way. CR: I just saw a fantastic documentary about two friends and circus performers who go back to where they grew up to start circus that help people who probably have no pre-existing knowledge of the circus. One is in an indigenous community in northern Canada, and another is in Guinea, and it traces their two circuses and how the kids there learn to get a ticket out of poverty but also learn about themselves. The Arctic community is town plagues by a lot of suicides, but this circus helps teach the kids to tell their own stories. JH: There’s been an amazing amount of success in building social capital through circus. It’s a metaphor of the human experience. There’s an immediate demand for trust and dependence and success, and in communities where opportunities for success are considered to be very rare, you suddenly have this example of success where I did land on my feet, therefore I feel good about myself, and I feel strong and I feel my group acting together and achieving things together. It becomes an amazing tool. CR: Tell me more about what’s going on in the contemporary circus world. JH: I’m now at the Nordic Contemporary Circus Festival, and the same thing that happened in dance sixty years ago is happening in circus today. There’s a revolution of this art form, the work being created today just didn’t ten years ago. Those pioneers that started the contemporary circus movement in the 70s are falling behind these new independent companies that are presenting physical languages that no one’s ever seen before. Funding bodies just don’t understand the impact that these circuses are having with audiences. CR: A lot of people in theatre and dance are also starting to think a lot more in terms of immersive experiences, dealing with existing spaces and new relationships with audiences. When you were in Xiamen, how did you structure your days? JH: Lots of walking around, setting myself little projects. I’m not a visual artists in the sense that I couldn’t sit in my apartment and paint, I needed to meet other people. Everyday was different, but I have to set myself deadlines when I’m working with other people. I also did a lot of film projects — I haven’t done much camera work before. CR: What did you thing of Xiamen as a setting? JH: It’s a really interesting place, it’s very different to my previous experiences in China. I had always been further north, in Beijing, Hebei, Shandong and Shanghai. Xiamen is a much wealthier city, some people call it the Hawaii of China, it’s a beachside city, lots of people come to take wedding photos. The expat art community is really wonderful, the Xiamen Arts College also hosts talks and workshops. Xiamen is also relatively small for China, you can get to know everyone in that expat community really quickly, so for Christmas and New Years, there was a really strong support network to be part of. Their relationship with Taiwan is also interesting — the Nationalists left from there in the 50s so the link from Fujian to Taiwan is really clear. And because of the work that CEAC has done over the past 20 years, Siggi and Ineke have really set up a strong connection with the Netherlands. KLM even goes there once a day. 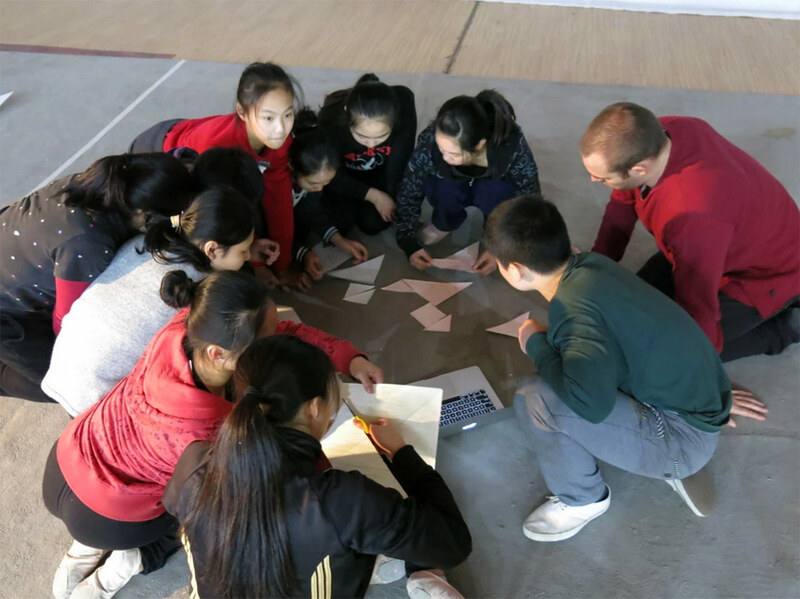 Creative devising with students at the Fujian Provincial circus. CR: During your public workshops, did you feel that people were receptive? JH: I did. There’s a big market for therapeutic physicality in China, and some of the feedback I got after the first workshop was that people wanted to be more ‘opened up’ physically and emotionally. They see yoga and creative movement as possibilities for that, which was surprising to me. I’ve led projects in Australia with refugees specifically with that focus, but I had downplayed that aspect for the Chinese context. CR: Did your time in China bring about new ideas you want to pursue further? JH: Absolutely. I want to work more with screen-based work, and the interaction between video and live performance. The ease of accessing gadgets in China was also really interesting for uses in circuses —drones, electronics. I also didn’t expect to move into making tangible objects, but I also moved towards furniture design. You still see lots of artisans in China, people working with their hands, but you rarely see that in Australia anymore. That combined with visual art sensibilities, I really got inspired to make modular furniture. Seeing visual artists making repeatable objects that they can monetize was a big inspiration too, I began to think about how I could work similarly as a physical artist, how do I take my craft out of ephemerality. China has a strong tradition of puzzles and wooden games, so that made me start thinking about audience experiences that aren’t about watching a performer but maybe more about solving this big puzzle together. It was such a privilege to have time to think about things and develop little kernels I had previously thought about but never fully shaped. CR: What were the improvisation sessions like? JH: The first one was framed around Ann Bogart’s viewpoints about physical states, and how they engage with time, space, physical structures like architecture but also other bodies. That was a bit too much for the participants, so I simplified it a lot for the second one, and just focused on Laban, which is about sets of binaries in movement — heavy and light, indirect and direct — and how combining these qualities you get different kinds of movements. Efforts he calls them. We also worked through the chakrah system, and the separation of mind and body, or lack thereof. This was where the workshop went much better and we talked a lot about the Eastern and Western definitions around mind body split. They talked about existing in the world with a body that has culture on top of it, and we talked about differences in physical culture as well. My main mistake was going into the first workshop was underestimating how much I needed to change things for a Chinese context, but the second one was really good. CR: What are some of the experiences that are going to stay with you from your two months? JH: It was great being with the other artists, and getting connecting to lots of really amazing personalities, like artists who have been in the city for over thirty years. But really, starting to think of myself as not just a circus director but really as an artist with a strong process and intention to explore — that’s what will stay with me. CR: That’s so great. That’s one of the reasons we spread the open call as far and wide as possible. I meet a lot of people who think residences are only for very established visual artists, because everyone benefits from time and space to explore new ideas. JH: And I certainly was in that bucket. I didn’t think I was the kind of person that was appropriate for an arts residency, but I reckon it’s actually changed my career. That experience will be a catalyst for something really special, so thank you so much. CR: That’s so wonderful to hear! And you can carry on these ideas to so many other places. Do you see yourself going back to China? JH: Definitely. I’ve known for a long time that it’s going to be a big part of my life. I’ll keep going back and will definitely continue a relationship with Xiamen through CEAC and the Fujian Provincial Circus. CR: Do you think the students you taught also came away with a broadened sense of possibility about the world beyond Xiamen? JH: Yes and no. 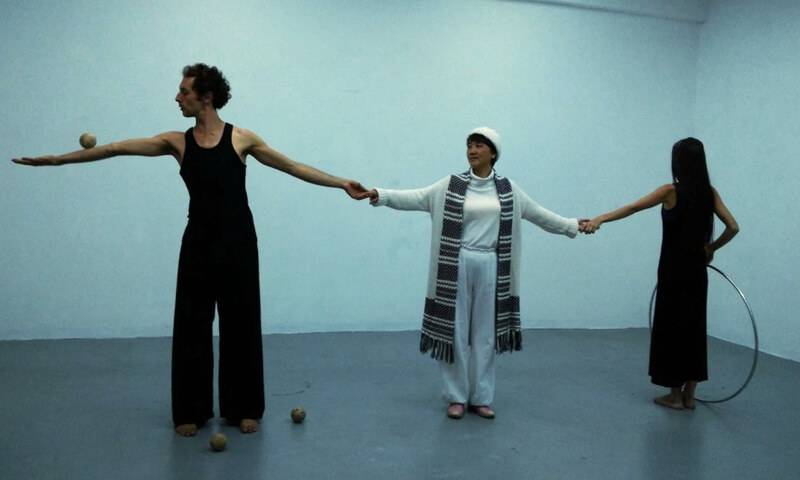 The independent performing arts scene in China is still really small and centered around Beijing and Shanghai. It made them realize that their troupe can collaborate with people abroad, but that’s going to take time to build those relationships. 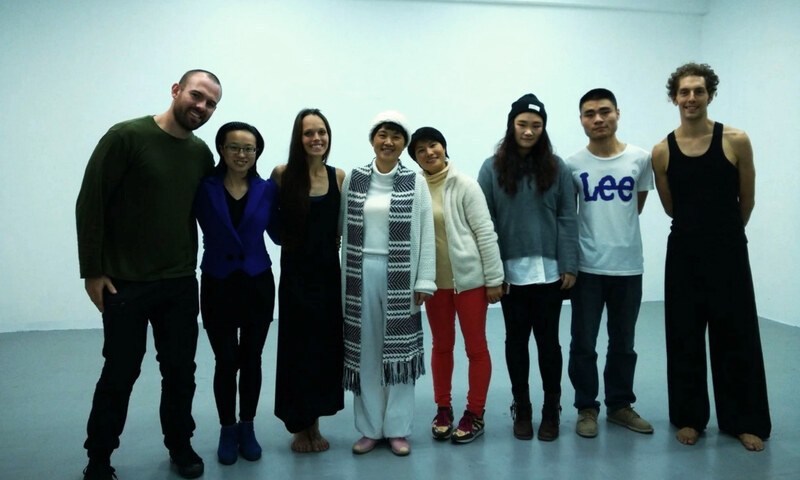 This interview was conducted on April 5th 2015 by Kira Simon-Kennedy for China Residencies.